Add that perfect coastal finishing touch to your home's decor with the unique window frame mirror. 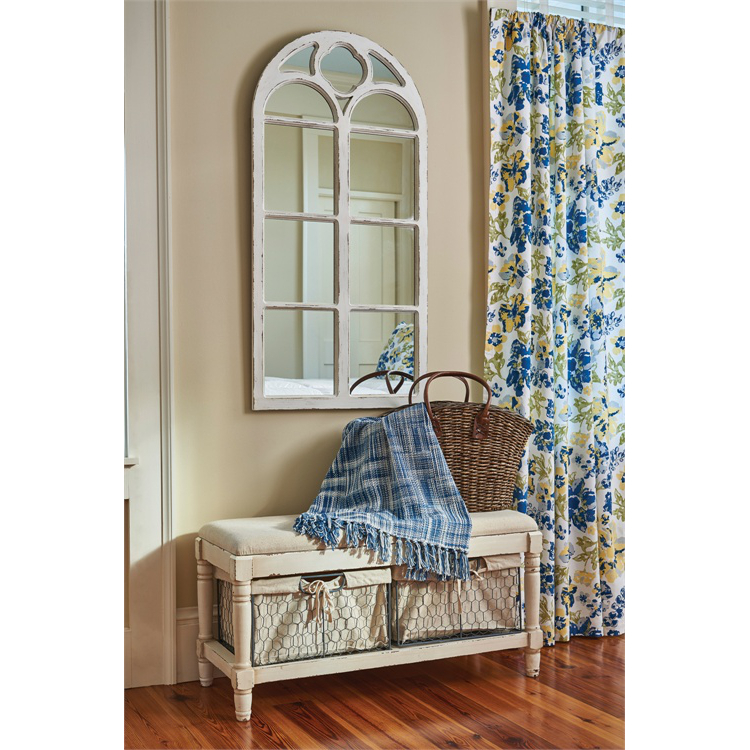 This beautiful arched window frame mirror has a weather distressed white finish. Design has that beach cottage charm. This mirror has a fresh unique look that will defiantly compliment your coastal decor.